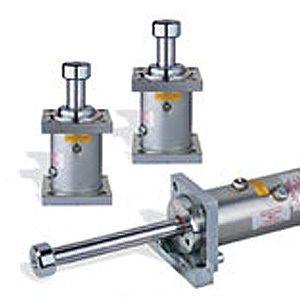 Enidine Brand Shock Absorbers and Vibration Isolation Products Distributor in Australia | Enkosi Pty. Ltd.
Vibration dampening mechanisms are the unsung heroes of the industrial age. Without their shock absorbing capabilities, our machinery would shake uncontrollably. Worse yet, our largest structures would be left to absorb massive amounts of kinetic energy. Enidine brand shock absorbers are designed to fully dampen these vibrational effects. They soak up energy and harmlessly dissipate shock. Let’s check out the vibration isolating power of this quality-assured dampener range. This product range targets a handful of functions. They absorb equipment-damaging quantities of kinetic energy, of course, and each device uses a series of stout pistons, springs, and fluid-retaining chambers to guarantee these functions, but reliability is the enduring value that lays at the core of each mechanism. In turn, this dependability factor is assured by an application-centric engineering strategy, a need to manufacture products that are the best in their class. Branded Enidine shock absorbers deliver on all design fronts, but their reliability credentials rule above all else. The Enkosi maxim regards the aforementioned reliability factor as a major asset, a decisive way of short-listing our finest engineering partners. As such, we are the Enidine brand shock absorbers and vibration isolating products distributor for Australia. We advocate the employment of the entire industry leading dampner line. In doing so, we’re promoting a catalog that has broadened its solution base to ensure every industrial application mates with an optimized shock dampening product, an augmented fit that promises absolute kinetic energy cancellation. The ability to create a mechanism that predictably decelerates a load and tempers its kinetic signature is no easy task. Great resources are leveraged here, with these engineering skills accessing the theory of dampening physics before a single part is assembled. Once the science is understood, then and only then do the robust materials mesh with higher manufacturing techniques. They combine to build compact devices, dampners that pair toughened springs and fluid-containing chambers. It’s these dependable innards that control the dampening effect. Shock absorbers are an invaluable part of a dynamic system. They provide load compensation when cranes and hoists lift heavy payloads. Production lines use vibration isolation, as do large structures and road vehicles. After all, this machinery is being pushed hard, but Enidine shock absorbers are available from our distribution centers as motion tempering aids. Their functions are designed to effectively stop these applications from being damaged by their own shock-producing energy signatures.